A food court will open in the north square of the Urumqi Railway Station in Urumqi, capital of the Xinjiang Uygur autonomous region, in October this year. The two-story food court is currently undergoing renovation. It will feature more than 100 storefronts and will become the first cultural experience zone in the Urumqi Economic and Technological Development Zone in Toutunhe district. 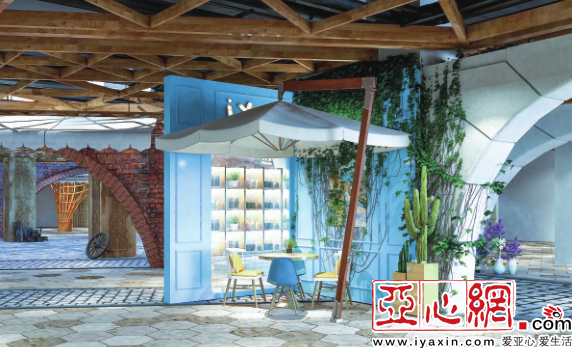 The first phase is expected to open in October, providing residents and tourists with Xinjiang specialties such as Jiaomaji (spiced chicken with chili sauce), Dapanji (a classic Uygur noodle dish studded with chicken), and baked buns. The food court will have five different entrances and exits, including the north square and the station's long-distance bus terminal. At the end of this year, the second phase of the food court will also open. It will feature not only Xinjiang cuisine, but also more than 2,500 varieties of snacks, simple meals, drinks and travel goods from countries along the Belt and Road. According to Zhou Yongjun, chief conductor of the food court project, the food court will make creative use of cultures from various countries to keep tourists entertained. For example, in the "Belt and Road Food Market", various special foods will be offered from countries along the Belt and Road, making the food court not only tasty, but also educational. Visitors can enjoy food in the restaurants or browse goods at the various shops. Wang Yujuan, who bought two shops in the food court, said that combining food with cultural and creative interactions will enrich the experience for everyone. She believes that business there will continue to improve.